Nairobi, Kenya – After Anne Khasakalla suffered two stillbirths in 2014 and 2015, she looked for a solution that would provide her with better healthcare. 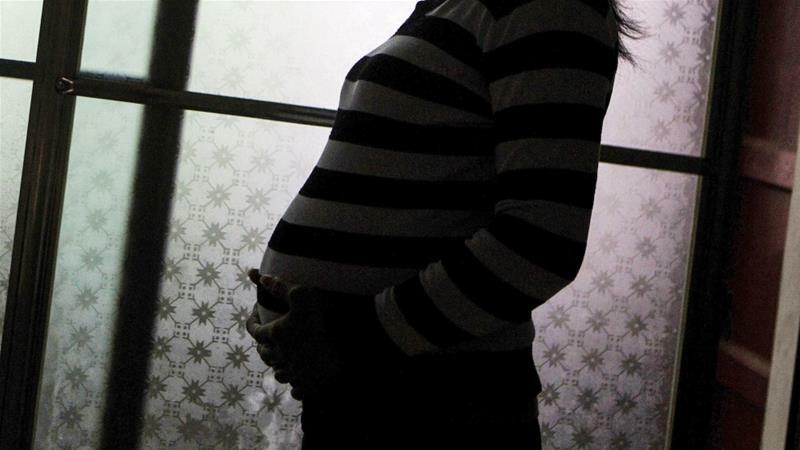 Friends told her that pregnant women in Kenyahave to pay bribes to doctors and nurses to escape long queues of mothers waiting to deliver their babies. “During my first pregnancy, I was excited to be a mother and I could not wait to welcome my then expected newborn baby into this world,” the 34-year-old told Al Jazeera. “I registered to give birth at [the government-run] Pumwani Maternity Hospital in Nairobi. I attended all the pre-natal clinic dates at the hospital, did an ultrasound scan and my baby was healthy. Khasakalla earns $30 a month selling fruits and vegetables in the streets of Nairobi. Her second stillborn child was also a girl. She represents about 34,000 Kenyan women who deliver stillborn babies each year, according to the World Health Organization. She now has two healthy children – both of whom were delivered at the same hospital. “After realising that most women pay bribes to avoid long queues, it is then I approached a well-known gynaecologist at the facility and negotiated a fee of 2,000 shillings ($20) to deliver my first child. He agreed and within 25 minutes, I had a normal birth and was home the next day after resting in the maternity ward overnight. “The same applied to my second born child. Despite maternity services being free in government hospitals, I did not want to take any more risks. It’s still not a guarantee you will give birth safely as many doctors are also drunk while performing their duties”, she said. In the past few years, several doctors in Kenya have been accused – with some prosecuted – for being intoxicated while at work, with some cases leading to further injury or death. Since 2013, the Kenyan government has provided free maternity services at government-run hospitals, including antenatal services until the child reaches the age of five. This was part of a government programme to curb the rise in cases of maternal mortality – 400 in every 100,000 live births in 2017, according to the WHO. Neonatal deaths stand at 34 in every 1,000 live births according to the WHO, making Kenya one of the lowest ranking Sub-Saharan African countries for maternal health. Pumwani Maternity Hospital, one of the oldest institutions in Kenya and founded in the 1920s, is currently under investigation for medical negligence and child trafficking by the Medical Practitioners and Dentist Board (MPDB), a government agency. “Yes, we have received reports of women paying money when they are not supposed to do so just to give life,” said Daniel Yumbya, the chief legal officer at the board. “We have as a result cancelled the licenses of some doctors, about 46 of them. Yumbya said some women have lost their lives waiting to deliver babies through emergency cesarean sections in various hospitals. He said that eight private maternal clinics have been shut down countrywide by overcharging their patients in the last few months. Illegal deals by doctors have also killed pregnant women, he said. “We are also investigating St Mary’s, a Catholic hospital, for overcharging their patients way beyond the normal amount of $50 for a normal delivery. It’s disappointing that a missionary hospital can do such a thing,” said Yumbya. He said that there is no recent data on bribery as most cases go unreported. But based on regular complaints, he explained, the trend is worrying. According to Dr Ouma Oluga, chief executive officer of the Medical Practitioners Pharmacists and Dentist Union (KMPDU), the government is to blame for the state of the hospitals, especially public hospitals. He said doctors are overworked with limited resources and facilities. A spokesperson at Pumwani told Al Jazeera that its staff members try hard to help patients, despite being overworked and that no doctor had ever neglected their duty. He added that in Pumwani Maternity Hospital, there are only six resident gynaecologists for about 154 expectant mothers. Greater investment in staffing hospitals could, it is hoped, lead to fewer stillbirths.